I was flat out all week with work, as my team and I had a major project deadline today. Good news, we got it done. Our house is back to normal – all the damage from the burst water pipe, last week, was completed today!!! Obviously, I did not have much time this week but I did get 1/2 way through one of my February goals – I completed two sets of quilted pot holders (my goal is to do 4). The Blue teapot set is now available on my etsy store. So, even though it is a small finish I am happy to have completed something in my list of craft projects for February. This entry was posted in Uncategorized and tagged 2013 Goals, diy, Finish it up Friday, hot pads, oven mitt, patchwork, pot holder, pot holders, quilt, quilt-as-you-go, quilting, sewing, Spoonflower, spoonflower.com, Squeek Crafts on February 16, 2013 by mlwilkie. They look cute! Nice work for such limited time! 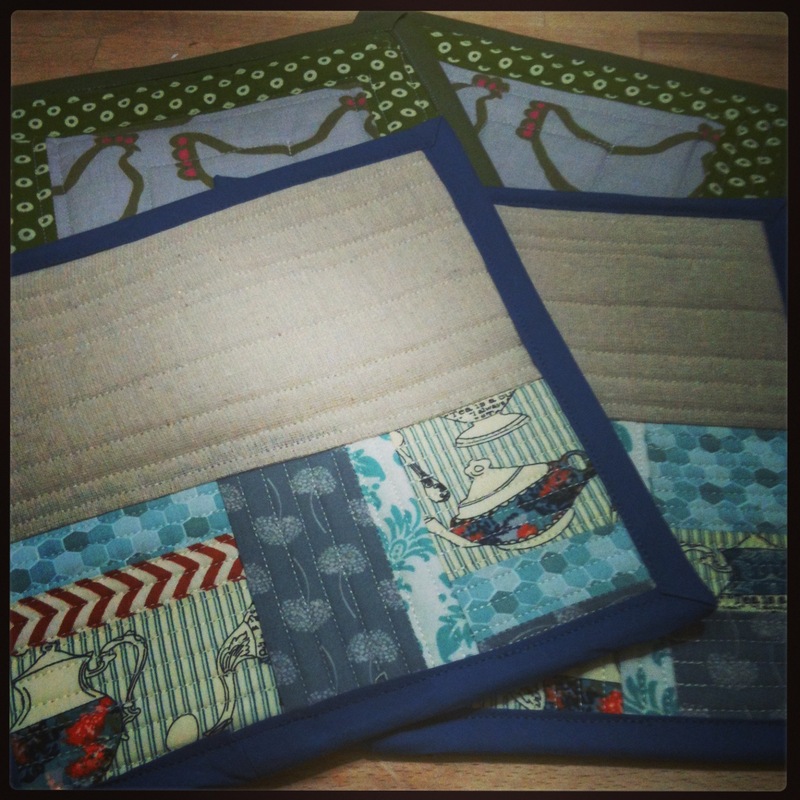 Cute pot holders… Love that tea pot fabric!